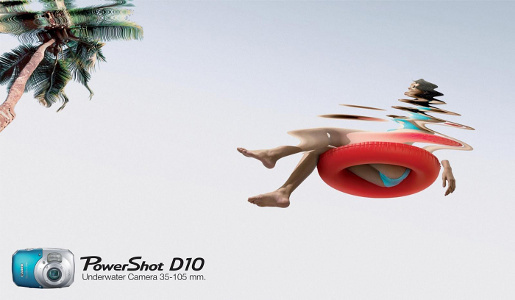 Canon’s PowerShot D10 is a waterproof compact digital camera designed to produce photography up to 10m. 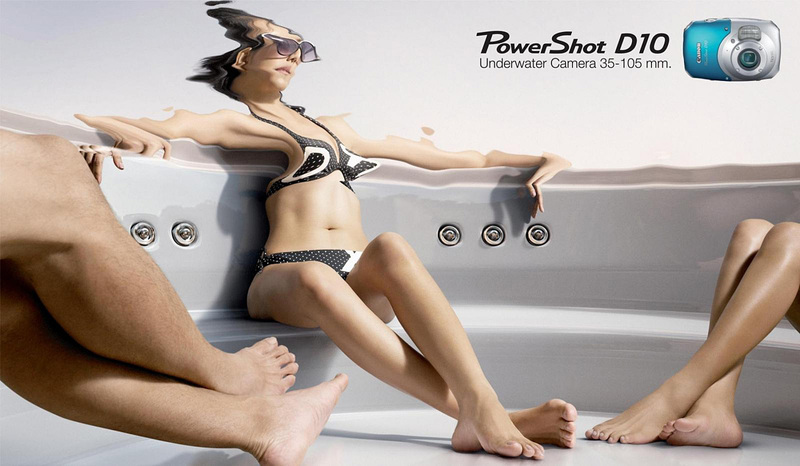 The message is encapsulated in this pair of print advertisements from Thailand, Jacuzzi and Beach, suggesting a new angle on leg photography. “Camera 35-105mm”. The Underwater campaign was developed at Leo Burnett Thailand, Bangkok, by executive creative directors Keeratie Chaimoungkalo, Sompat Trisadikun, art directors Sompat Trisadikun, Nateepat Jaturonrasmi and copywriter Santi Tubtimtong.